In this context, public procurement regulation is broadly seen as an area where a UK ‘unshackled by EU law’ would be able to turn to a lighter-touch and more commercially-oriented regulatory regime, subject only to GPA constraints. There are indications that the UK would simultaneously attempt to create a particularly close relationship with the US, although recent changes in US international trade policy may pose some questions on that trade strategy. Overall, then, Brexit has created a scenario where UK public procurement law and policy may be significantly altered. In a paper* recently published in the Public Contract Law Journal with Dr Pedro Telles, I speculate on the possibility for Brexit to actually result in a significant reform of UK public procurement law (of which I remain sceptical). Crucially, the extent to which there is a real possibility for significant reform depends on the framework for the future trading relationship between the UK and the EU. Whereas ”EU-derived law” will not restrict the UK’s freedom to regulate public procurement, the conclusion of a closely-knit EU-UK trade agreement covering procurement could well result in the country’s continued full compliance with EU rules. Nonetheless, this is not necessarily a guaranteed scenario and, barring specific requirements in future free trade agreements between the UK and the EU or third countries, including the US, the GPA seems to be the only regulatory constraint with which future UK public procurement reform needs to conform. Therefore, in our paper, Telles and I concentrate on the analysis of the UK’s position under the GPA. Importantly, we stress that such position is far from clear. 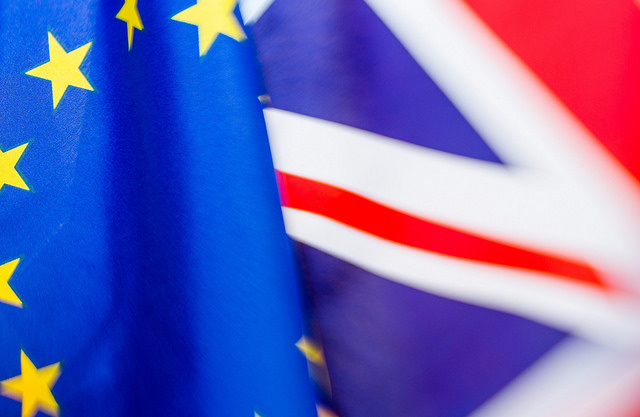 We posit that the UK will face a GPA accession process and GPA members may see Brexit as an opportunity to obtain new concessions from the UK and the EU, which could be both in terms of scope of coverage or regulatory conformity. Further, given the current trend of creating ‘GPA plus’ procurement chapters in free trade agreements, such as the US-Korea FTA, the GPA regulatory baseline will gain even more importance as a benchmark for any future reform of public procurement regulation in the UK, even beyond the strict scope of coverage of the GPA. Given the diversity of GPA-compliant procurement systems (such as the EU’s and the US’), though, the extent to which the GPA imposes significant restrictions on UK public procurement reform is unclear. However, we argue that the current detailed regulation in the UK might itself limit deregulation due to the need to comply with the international law principle of good faith as included in the 1969 Vienna Convention on the Law of Treaties and, to a certain extent, the United Nations Convention Anti-Corruption. The paper thus disentangles the multi-layered complexities of Brexit and explores the issues that Brexit has created in the area of international public procurement regulation, both from the perspective of ‘internal’ EU law-related issues and with regard to broader ‘external’ issues of international trade regulation. The paper also assesses the GPA baseline regulatory requirements, and reflects on the impact these may have on post-Brexit public procurement reform in the UK. * The paper has been published as P Telles & A Sanchez-Graells, ‘Examining Brexit Through the GPA’s Lens: What Next for UK Public Procurement Reform?’ (2017) 47(1) Public Contract Law Journal 1-33, and is available via SSRN: https://ssrn.com/abstract=3076543.